Are Tube Amps Louder Than Solid-State Guitar Amps? Are tube amps really louder than solid-state amps of the same power rating? The answer is no, but there are some pretty good reasons you might think they are. The issue comes down to headroom, and the way each type of amp manages the available power. Tube amps gradually clip, pushing them into overdrive as the volume is cranked. For really high-powered tube amps, like 100-watt heads, you can crank them quite a bit before they begin to break up, and they then keep on going into that sweet overdrive range. This means you can turn your tube amp up really loud and still get some amazing sounds out of it. Solid-state amps behave much differently as you crank the volume. Unlike a tube amp which gradually drifts into overdrive and then asks for more, when a solid-state amp approaches its maximum usable power things get ugly. You can only turn a solid-state amp up to a certain point and still maintain a clear, usable sound without getting over-distorted. If you have a 50-watt tube amp and a 50-watt transistor amp, from a practical standpoint you are most likely going to find the 50-watt tube amp is louder. But it is really more accurate to say it sounds louder, or works better when you try to make it loud, rather than is louder. After all, both are rated at 50 watts, so they have identical power to work with. So, technically a tube amp is no more powerful than a solid-state amp of the same rating. However, practically it is capable of getting much more out of the available power than a transistor amp. This means you can get by in a band with a 50-watt tube amp, but if you want to use a transistor amp you’ll need something with a higher power rating. You need more available headroom. It has nothing to do with the actual power of the amp, but what each amp is capable of doing with that power while still maintaining a useable sound. 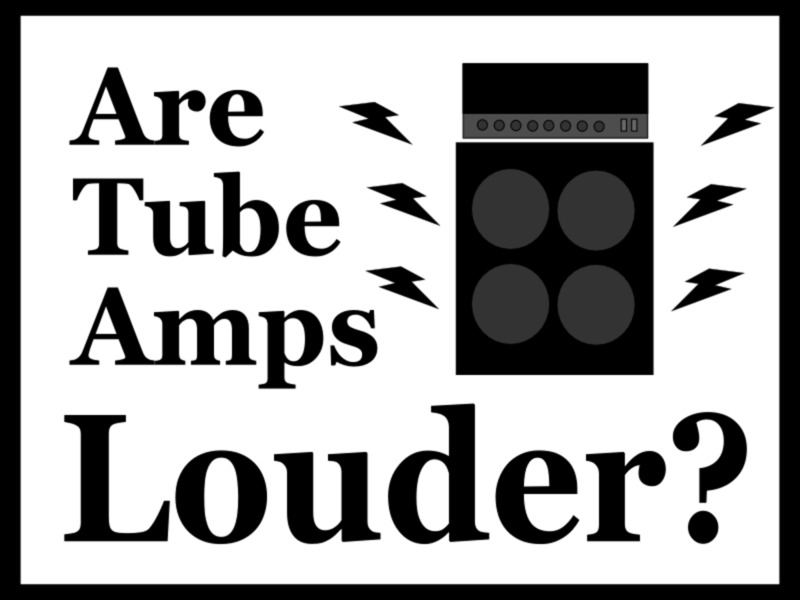 There are a few other reasons tube amps might be practically louder than solid state amps of the same rating. One little idiom often bantered about guitar forums is that a watt is a watt no matter if tube or transistor. That’s true. A watt is a measure of power, so it matters not the mechanism for creating it. As far as power ratings go, the type of amp makes no difference. But other variables can weaken the watts, so to speak. Even though the power amp itself may be mighty, some other components may not let it operate at its maximum potential. This can reduce volume and performance, sometimes significantly. A good analogy would be to take two men of identical size and strength and put them side-by-side driving railroad spikes. Give the first guy a steel hammer, and the second guy a wooden hammer. The first guy is obviously going to be a more powerful and more efficient at hammering those railroad spikes, but that doesn’t mean he himself is more powerful. Something similar happens when guitar amps are equipped with inefficient speakers and electronics. When it comes to cutting corners on these components, amp builders are more likely to do so with inexpensive solid-state amps. Clearly this means you aren’t going to get as much out of them, but the same problems will not be found in a high-quality solid-state amp. In fact, I think part of the confusion comes where guitarists compare lower-quality solid-state amps to higher-quality tube amps. 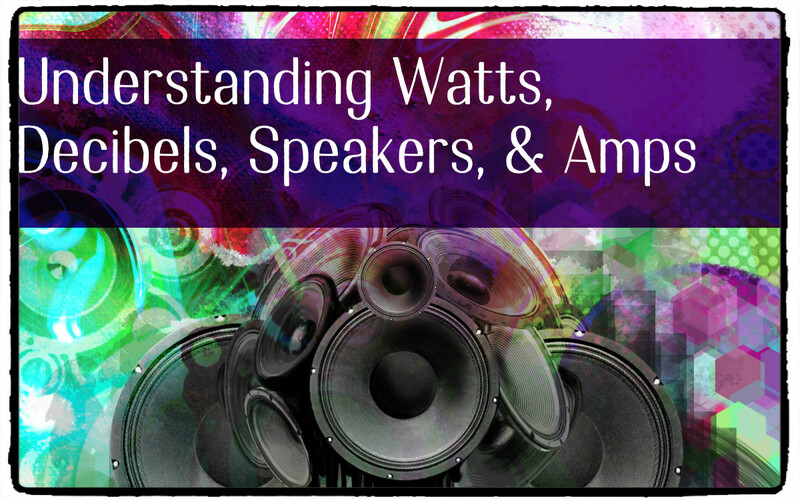 They’re just considering one point of comparison –the wattage rating and how it relates to output volume – but there are many other factors that go into how a guitar amp is going to sound. The quality of the speaker plays a role in amp volume. Do some guitar amp builders cheat when it comes to over-stating the power ratings of their solid-state amps? Is that 50-watt amp really a 32-watt amp? This is a rumor that has persisted for decades. I think there are a couple of things going on here. Firstly, sometimes guitar amp companies list the power rating of their amps in some creative ways, and this can be confusing for people who aren’t paying attention. 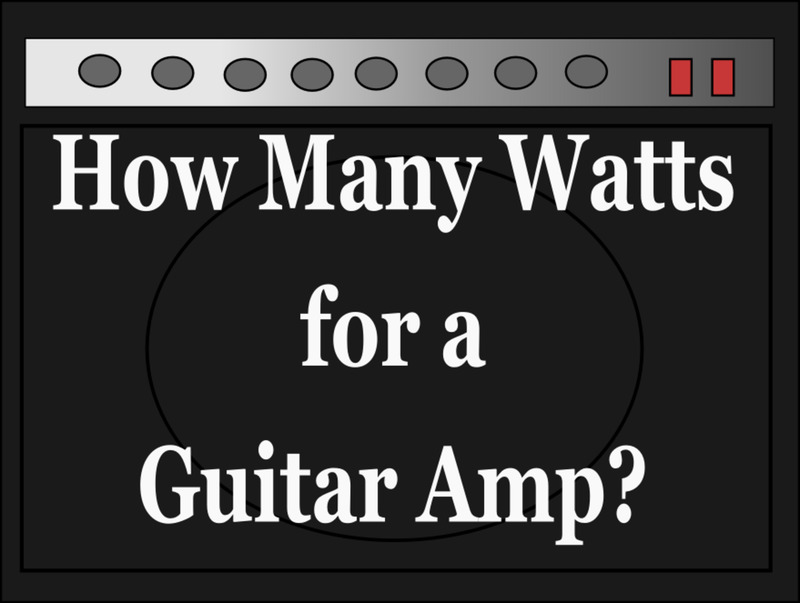 For example, that 100-watt solid-state amp may only be 100 watts if you use an extension cabinet. Otherwise, it has a lower rating. There is nothing wrong with this and it is not deceptive. You as the consumer must read and comprehend what the specs are telling you. Secondly, because of all the issues listed above with sub-par components, some cheaper amps are unfortunately a lot like that guy with the wooden hammer. The power amp may indeed rate out at the listed specs, but because of other issues with the amp some of that power goes to waste. This is mostly true when it comes to less expensive amps designed for newbies and intermediate players. 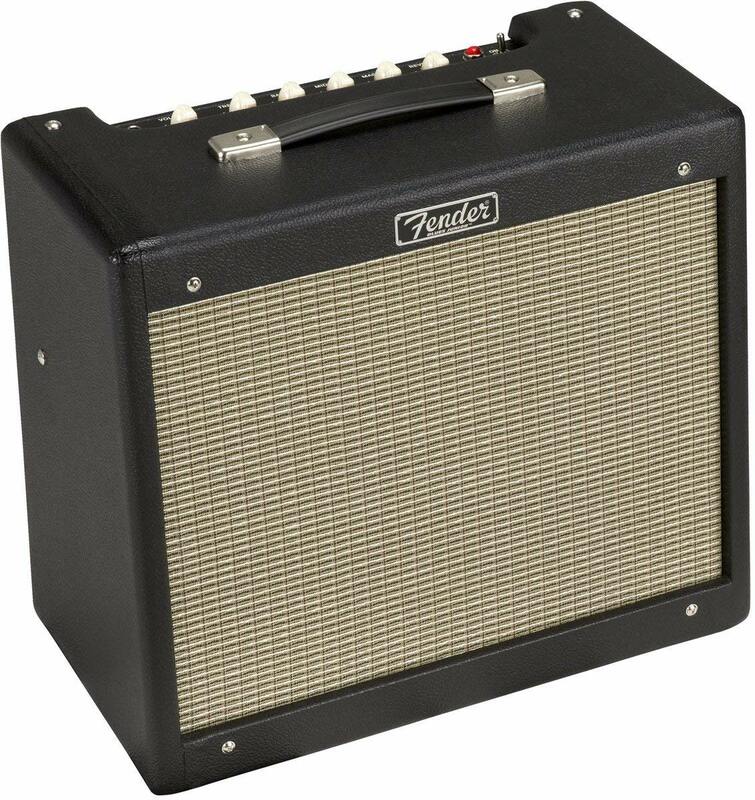 Are some guitar amp companies intentionally fudging power ratings? Only they know for sure, but it does seem to me different brands certainly have different standards. 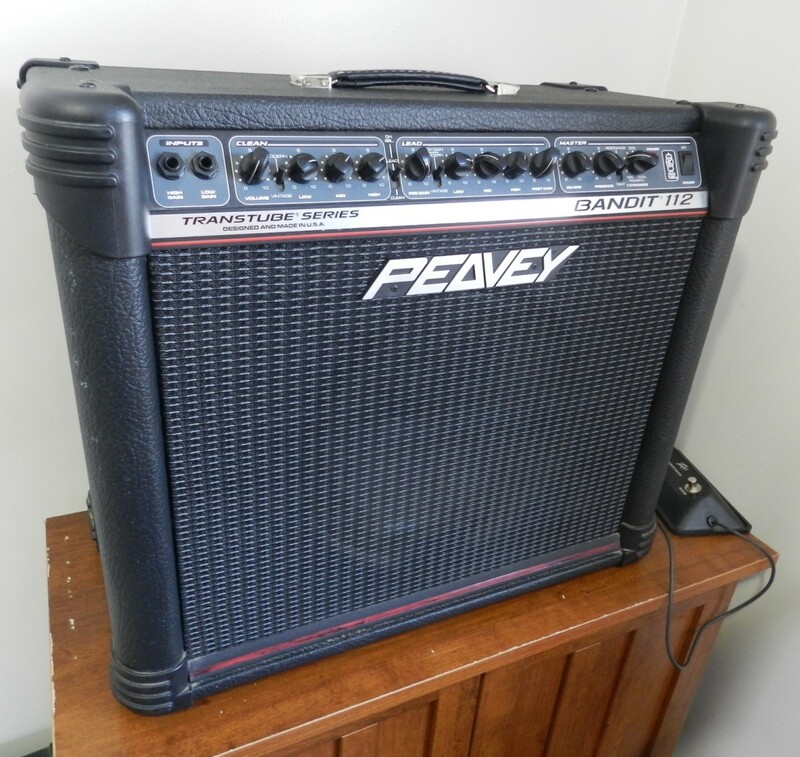 For example, I’ve always thought Peavey transistor amps seemed really loud compared to other amps of the same power rating. For you the guitar player, as always the key is to research what you are buying and make sure it is the right option for you and your situation. 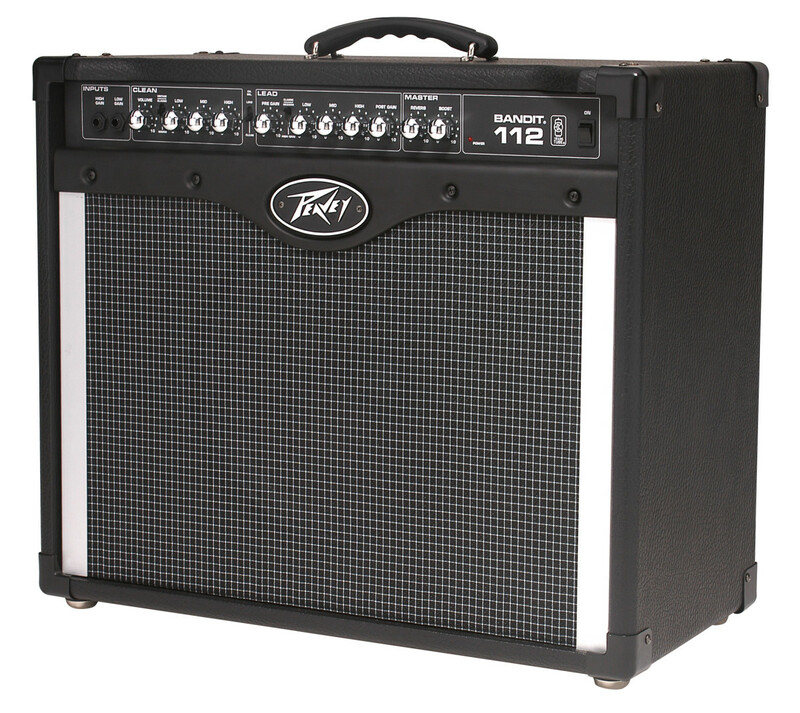 Read reviews and find out what other guitar players have experienced with the amp you are considering. That’s the best way of figuring out if it has the power you need, regardless of rating. 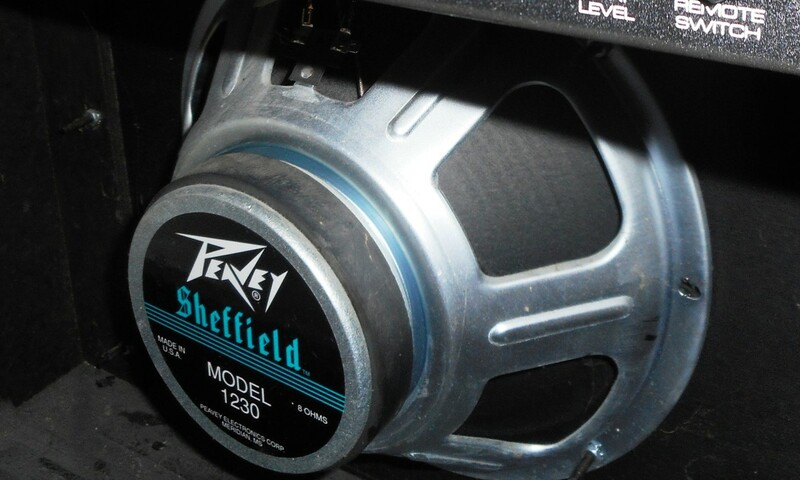 My 80-watt solid-state Peavey Bandit is plenty loud. 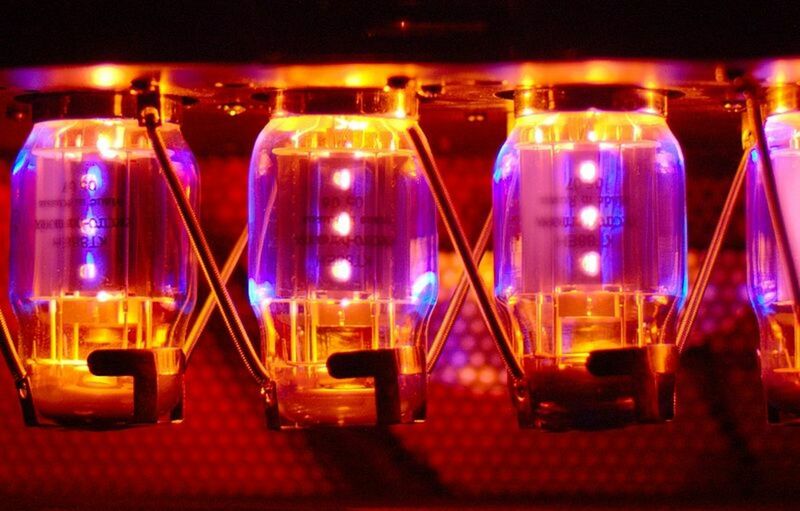 Tubes or Solid-State: Should You Care? Some people think if you choose an awesome tube amp you’ll have unlimited power at your fingertips, probably get a recording contract and live the life of a guitar god. 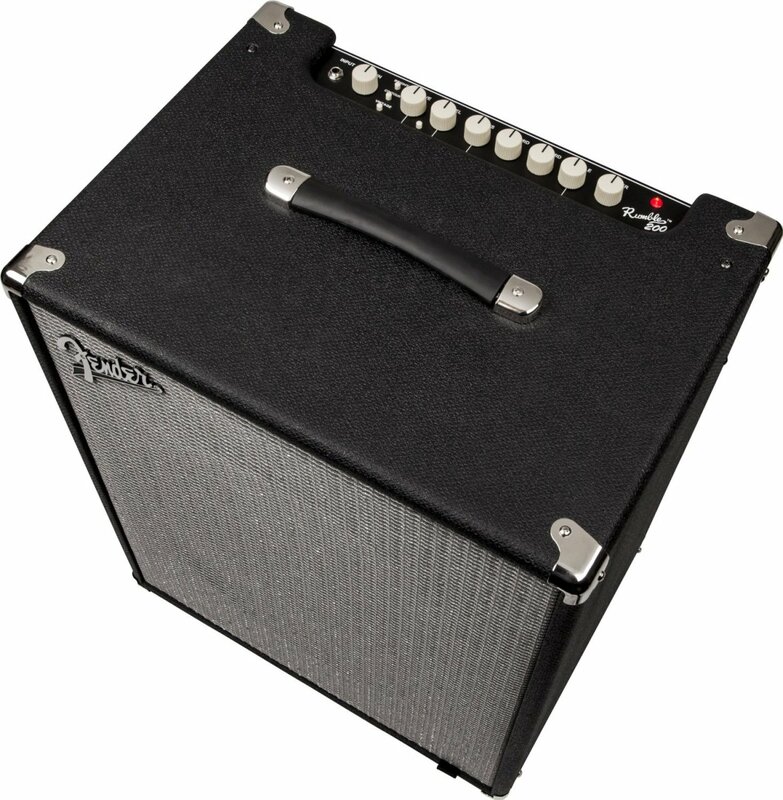 Choose a wimpy solid-state amp and you’ll be playing alone in your basement for the rest of your life because people can’t stop laughing at your pathetic guitar sounds. Of course this is all nonsense. Most of the reasons tubes and transistor amps are different do not really matter for most guitar players. You simply need to choose an amp that gets the sound you like, and has the power for your situation. A 20-watt solid-state amp may be fine if you only play at home. If you play in a band you need more power. Play through a tube amp if you want to. Choose if a solid-state amp if it works better for you. Likewise, the science behind it doesn’t matter for most guitarists. For me personally: I get it, but I mostly don’t care. It doesn’t matter what the sound wave is doing for each type of amp, or what the different ratings mean when guitar amp companies put out their specs. I am more interested in knowing the practical application of each type of guitar amp, and for that reason I tried to steer clear of science stuff in this article. But some guitar players love the science stuff, and that’s okay too. It is interesting, and if you wish to show off your science muscles in the comments section below by all means have at it. I’ll certainly enjoy any polite and thoughtful commentary on the subject. For the rest of us, the takeaway is this: While a tube amp may not be more powerful than a solid-state amp of the same rating, you’ll likely get more out of it. And that means you’ll need a lower-wattage tube amp to do the same job as a higher-wattage solid-state amp. If you take that to mean tubes are louder, I guess that’s one way to interpret it. What Kind of Amp Do You Play? Tube or solid State and why? Tubes because they sound better. Solid state because they sound better. Solid state because they are more reliable. Tubes because they are louder. Tubes because they make me cooler as a human being. Tube Amp vs Solid State: Which is the Best Guitar Amp for You?